$5.00 per child, or $10.00 family max. Come let your little ones burn off that extra energy before nap time! These open gyms are for children walking to 5 years old only. Enjoy time on the "big" equipment, foam pit, and various preschool aged stations set-up on around the gym. Open gyms run September through May! Come let loose and have a blast with friends! Whether you want more gym time or just want to run wild, you'll be sure to have a ball. Open gyms are open to both boys and girls ages 5 and up. 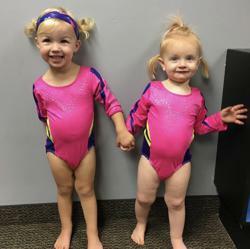 All ability levels welcome and absolutely no gymnastics experience is necessary. BRING A FRIEND!